Formula 1 tyre supplier Pirelli has released the first images of its 2017 tyres fitted to the Ferrari SF15-T during testing. 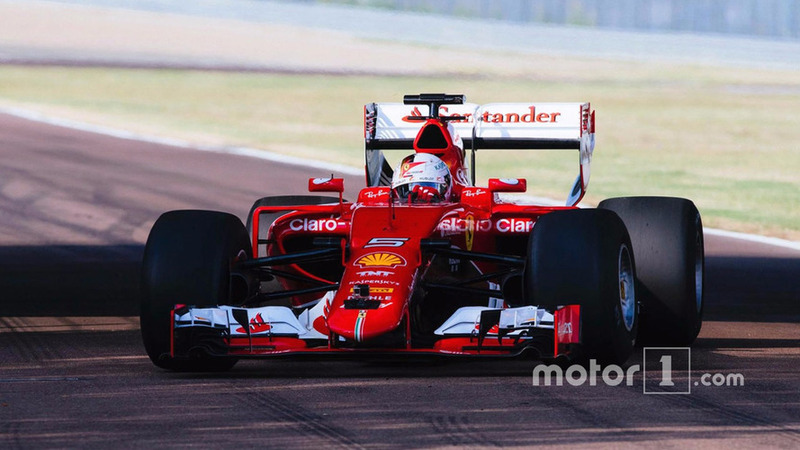 Vettel is taking to Fiorano circuit today in a specifically modified car to simulate the 2017 aero rules and to accommodate the wider tyres that will be used next year. Vettel will be in charge of testing duties all day before Haas F1 driver Esteban Gutierrez takes over for the second day of running. 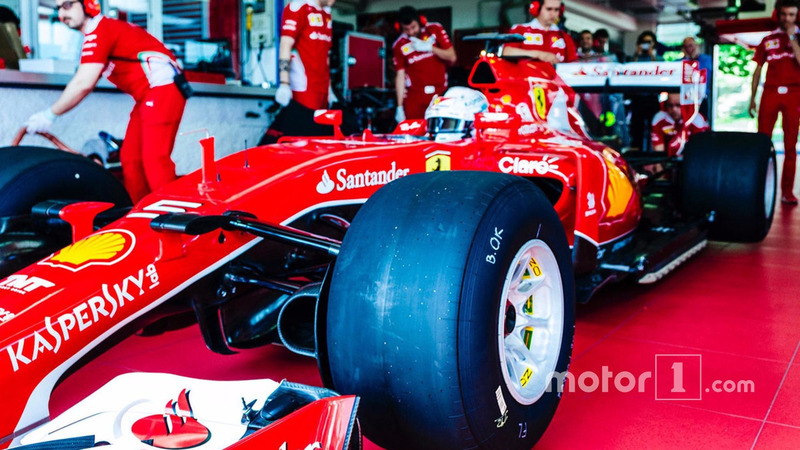 The Ferrari driver completed a few installation laps on slicks in the morning before he starts proper work with the intermediate and full wet tyres on artificially-watered track. Red Bull will be running at Mugello on Wednesday and Thursday, using slicks tyres.